Enhance the Dr. Seuss reading experience with THE CAT IN THE HAT Finger Puppet from the popular "The Cat in the Hat" series. 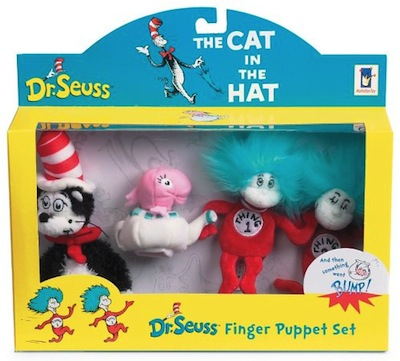 With these delightful finger puppets you can help the Cat In The Hat play all his games. The set includes: The Cat In The Hat, Thing One and Thing Two, and the goldfish.